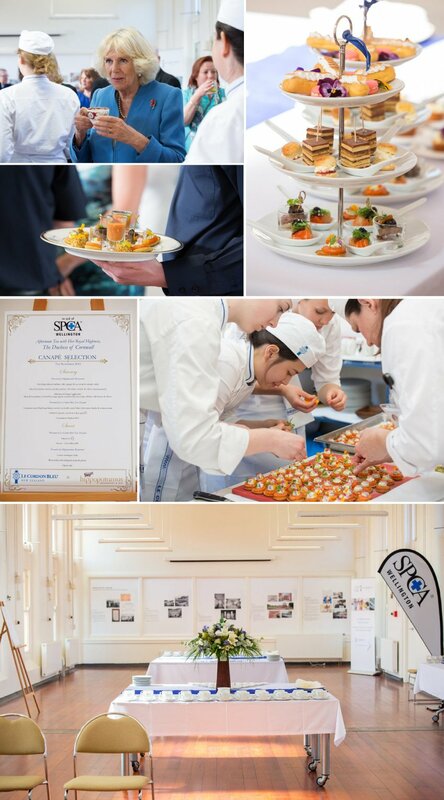 On Saturday 7th November 2015 Le Cordon Bleu New Zealand, in conjunction with our good friend Chef Laurent Loudeac from the award winning Museum Hotel, had the greatest of pleasure in creating and serving Her Royal Highness and esteemed guests at the SPCA in Wellington, during the recent Royal visit to New Zealand. Guests were treated to a selection of afternoon delights, including a modern take on the now infamous Coronation Chicken, as served at HRH Queen Elizabeth II Coronation back in 1953. Chef Paul Dicken and four slightly nervous students represented Le Cordon Bleu with aplomb! It has been a long time since Le Cordon Bleu had the privilege to prepare and serve canapés to the British Royal family and they did a marvellous job…here are a few images from the afternoon.